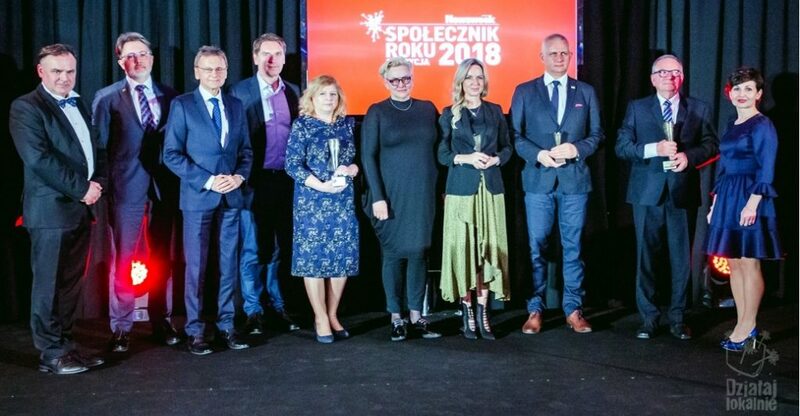 The Gala concluding the 10th round of the “Act Locally” Program, combined with the ceremony of presenting the Civic Leader of the Year 2018 title awarded by Newsweek Polska, was held in Warsaw on March 21, 2019. The event was attended by 220 guests involved in various ways in civic activity. 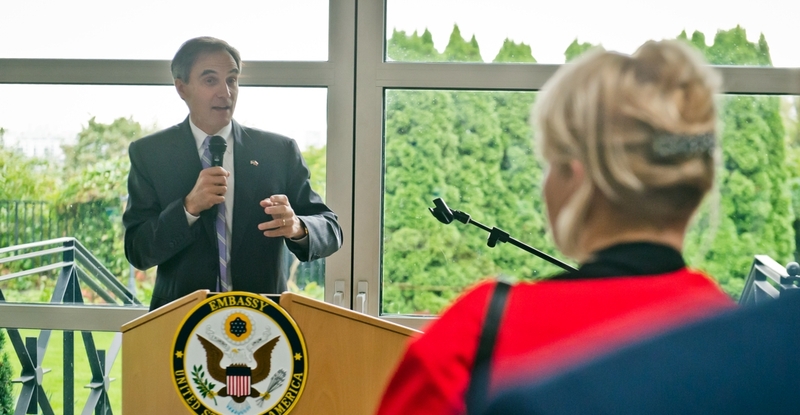 The ceremony was opened by Jerzy Koźmiński, the Polish-American Freedom Foundation President, who pointed to the fact that the “Act Locally” Program has been very important to the Polish-American Freedom Foundation since its inception as an inspiration for other PAFF programs and initiatives targeted at meeting local communities’ needs. During the first part of the Gala, the winners of the Civic Leader of the Year competition were honored. 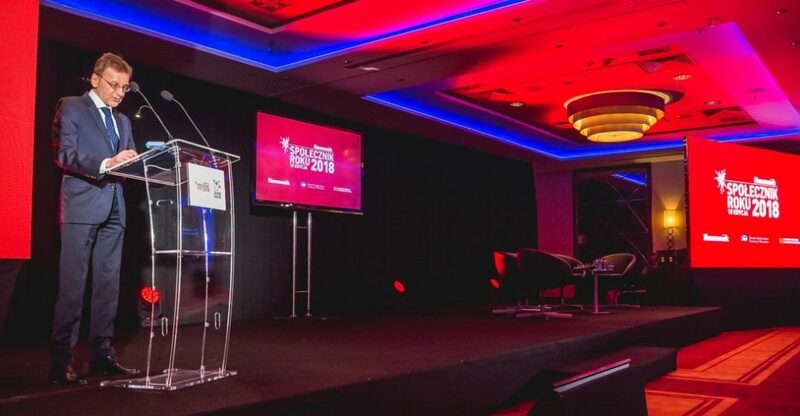 It started with the address given by Newsweek Polska editor-in-chief Tomasz Lis, who noted that civic leaders do not focus on helping society as such but they offer practical support to those who need it. 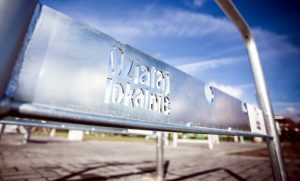 The atmosphere of reflection was introduced by A Contribution to Statistics poem by Wisława Szymborska, recited by Krystyna Kofta, a writer, and the address given by Michał Rusinek, the President of Wisława Szymborska Foundation, who explained that the poems written by that Polish Nobel Prize winner are understandable but they aren’t simple, they are a mixture of irony and important morals related to values of social activism. Therefore, as he emphasized, poems by Szymborska are as true now as they were when she wrote them, and offer support in difficult times. 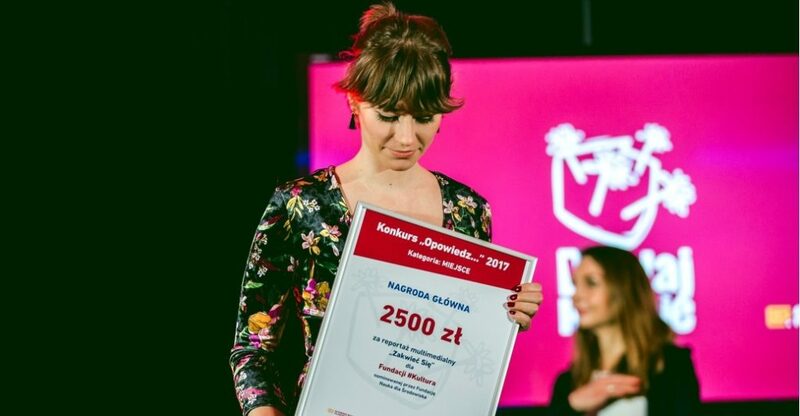 Next, the results of competition for the Newsweek Polska “Civic Leader of the Year” title were announced. 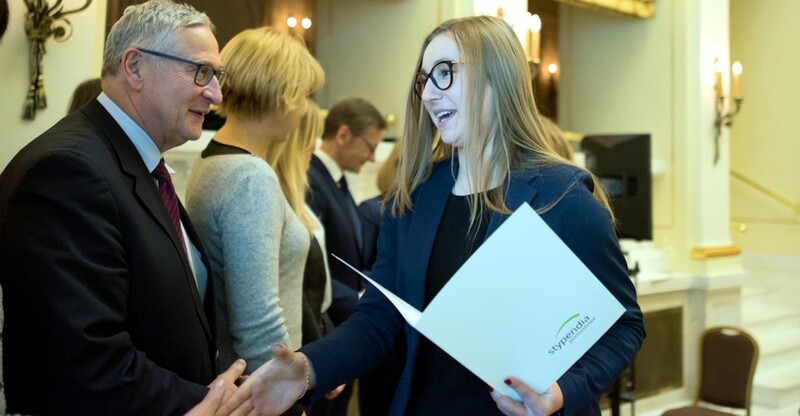 In this competition, the Polish-American Freedom Foundation is the Main Partner, and the Substantive Partner is the Academy for the Development of Philanthropy in Poland. 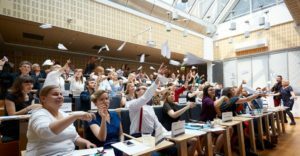 On the occasion of the 10th anniversary, the Competition Committee decided to grant the honorary award – the Civic Leader of the Decade title. 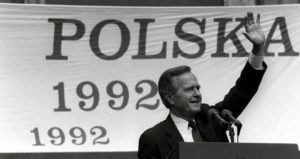 It went to the late Piotr Pawłowski, the founder of the Friends of Integration Association and the Integration Foundation for persistent and effective campaigning for the world without architectural, digital and social barriers, and for creating legal and moral standards that facilitate everyday lives of the disabled. 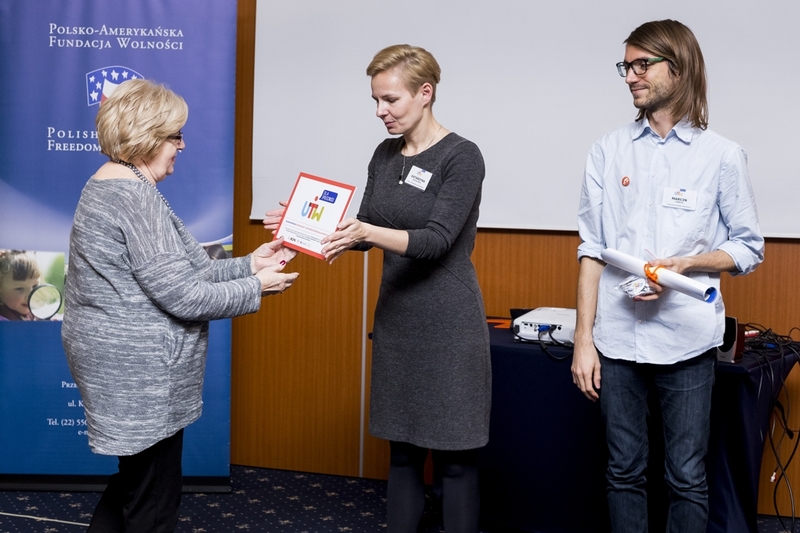 The award was received by Ewa Pawłowska, the widow of the winner. 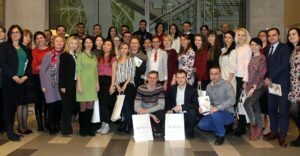 The Civic Leader of the Year 2018 title was awarded to two people. 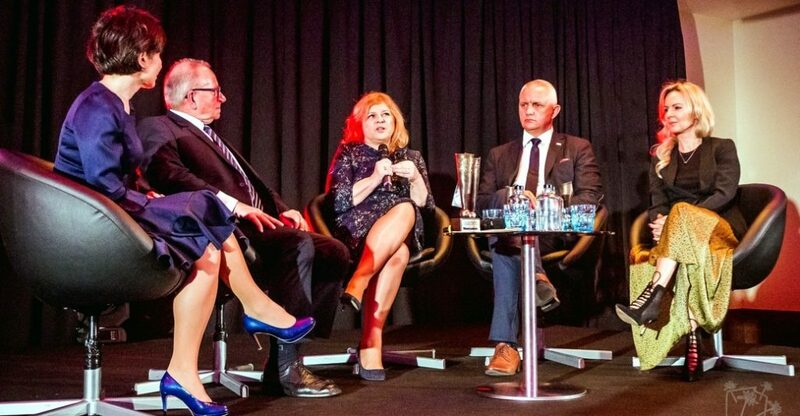 One of them is Elżbieta Krajewska-Kułak, the founder of Pro Salute Association, for her multipurpose activities in the area of health protection and promotion of children and seniors, and first of all for her great contribution to establishment of Białystok Children’s Hospice, Health Senior University, and Healthy Kindergartener University, as well as for getting many volunteers involved in helping people in need. 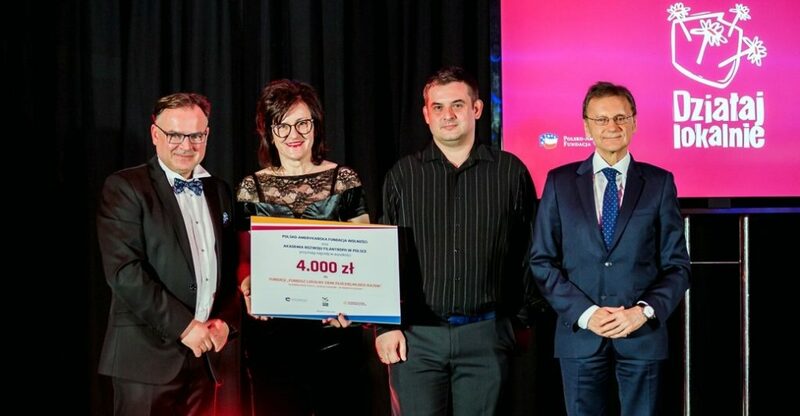 The second winner is Krzysztof Marciniak, the President of the SPINKa Association for the Disabled Drivers, awarded for many-year activity aimed at helping the disabled get full automotive mobility and promoting that idea as an effective support for their social and professional rehabilitation. The Competition Committee granted also two special awards. The first one went to Katarzyna Konewecka-Hołój, the President of Beautiful Angels Association for initiating and getting the others involved in activities for children from low-income families, such as creating safe and healthy living conditions and facilitating their development, as well as for implementation of the Sunny Rooms social campaign under which children’s rooms in private houses, orphanages and hospices were redecorated. The winner of the second award was Marek Lisiński, the President of Don’t Be Afraid Foundation. He was awarded for psychological and legal support to victims of child sexual abuse by priests and for assistance to their families. 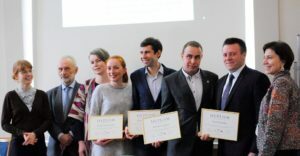 The Civic Leader of the Year Competition Committee is composed of: Renata Kim, the head of the “Society” section, Newsweek Polska; Jerzy Koźmiński, the PAFF President and CEO; Jan Kuroń, Jacek Kuroń’s grandson and a well-known cooking expert; Tomasz Lis, the Newseek Polska editor-in-chief; Paweł Łukasiak, the President of the Academy for the Development of Philanthropy in Poland; Janina Ochojska, the President of the Polish Humanitarian Action Przemysław Radwan-Röhrenschef, the Vice President of the School for Leaders Foundation; Michał Rusinek, the President of Wisława Szymborska Foundation. 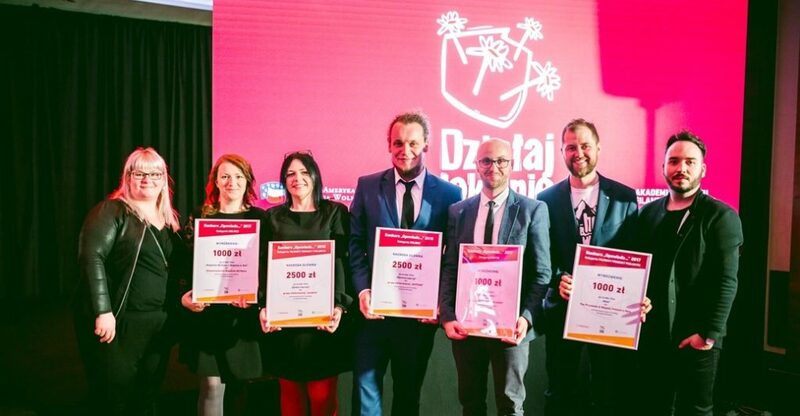 The competition for the “Civic Leader of the Year” refers to the idea launched by Jacek Kuroń and the “SOS SOCIAL ASSISTANCE” Foundation. 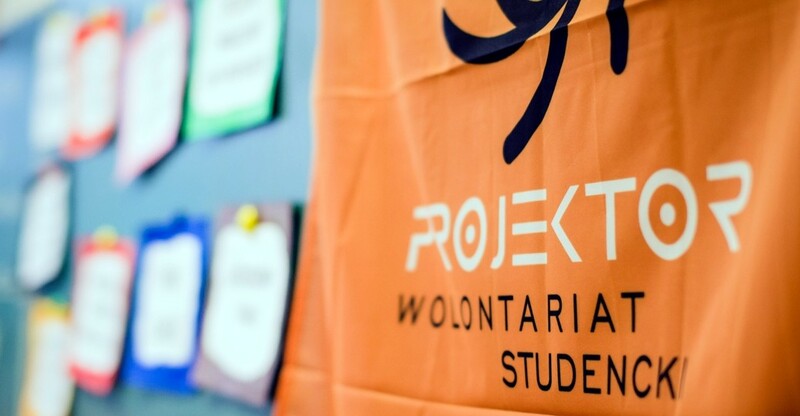 The objective of the competition is to award activity of individual people in NGOs, informal groups, and local government institutions who struggle with various social problems. During the second part of Gala, the 10th round of the “Act Locally” Program was summed up. 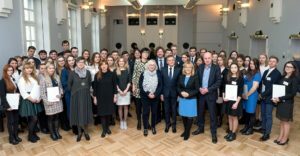 Paweł Łukasiak, the President of the Academy for the Development of Philanthropy in Poland noted that a very important role of the “Act Locally” Program consists in grouping people, encouraging them to act, and giving them energy to do so. He also emphasized that especially worth is to share resources with one’s community. The next item on the Gala agenda was presenting the awards to the winners of the Good Practices in Act Locally competition. Awarded were the best practices of Act Locally Centers implemented in 2017-2018 in such areas as fundraising, effective communication, and activities aimed at improving competencies of the program beneficiaries. 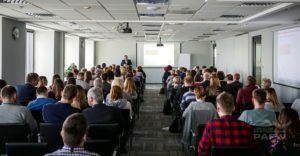 Coalition for Young People Białobrzegi Region Local Fund, for a good practice – 3rd Sector GPS or Białobrzegi Civic Center. In the FILM PRODUCT OF THE PROJECT category, no prize was granted. The Competition Committee decided that none of the submitted films met the “Tell Me About…” competition requirements. 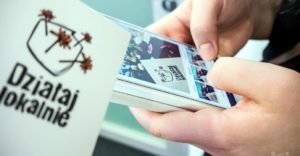 In its attempts to monitor and foresee the most important trends, the Tell Me About… competition changes, takes on various forms and puts emphasis on various aspects depending on the social environment. In the works submitted to the 2018 competition, the Competition Committee assessed innovativeness of the form, attractiveness of graphic and technical solutions applied, as well as relevance in presenting the subject. 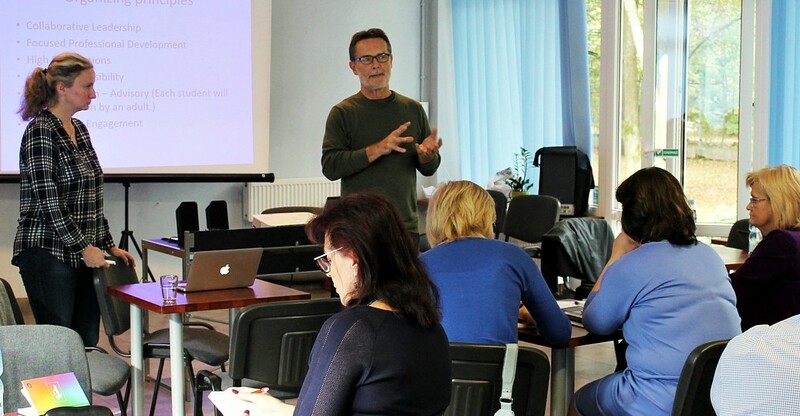 The “Act Locally” Program is the Polish-American Freedom Foundation’s initiative implemented by the Academy for the Development of Philanthropy in Poland. 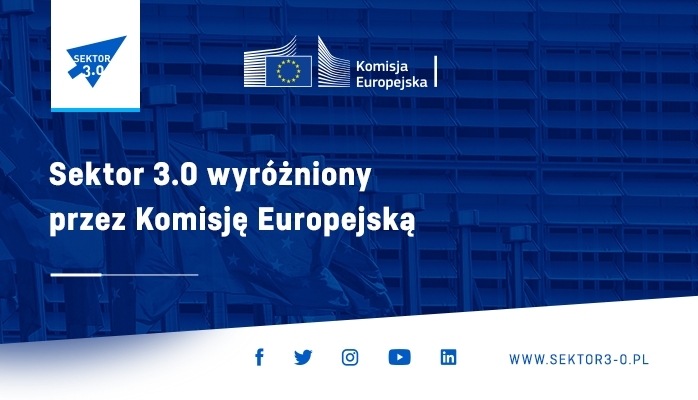 To date almost 10.500 projects have been performed as part of it all over Poland. They involved a total of over 3.8 million residents and almost 220 thousand volunteers. 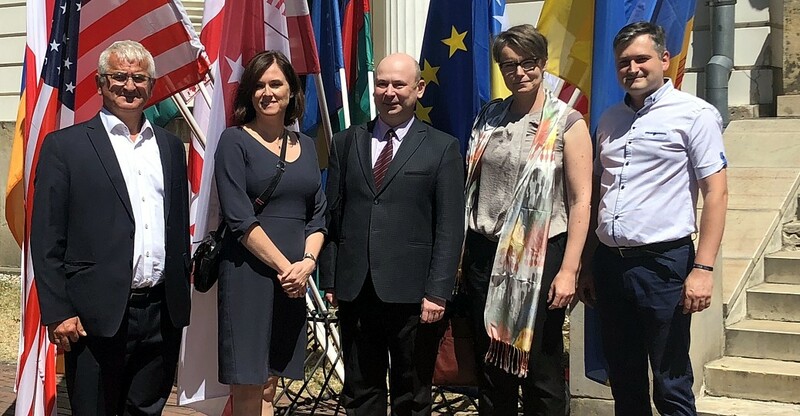 The program is based on cooperation with the Network of 74 Act Locally Centers covering almost 650 communes and rural communes all over Poland.